1. As the bidder, do we have to make any payments upfront before the auction? 2. Do the sellers have to pay anything upfront? 3. Who does the leg work for the property after it is sold at auction? 4. When property is sold as-is, are there any inspections prior to the auction? 5. If our property needs to be cleaned up or repairs need to be made, who does that? 6. 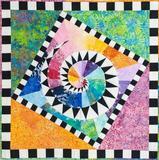 Are quilts something that can be sold at your auction center? 7. Are you able to auction a home as is with contents included? 8. Do we need to get paintings appraised before selling?